When manufacturers and retailers put toys into the hands of children, they need to ensure that those toys are reasonably safe for their intended recipients. If your child has been seriously hurt by a defective or dangerous toy, you may have a legal claim. Has Your Child Been Injured by a Defective Toy? At the law firm of Corsiglia McMahon & Allard, L.L.P. in San Jose, our experienced trial attorneys help parents pursue money damages for children who have been injured by toys. Contact us today to set up a free consultation. You will pay nothing unless we win your case. Speak to one of our product liability attorneys today by calling (408) 289-1417. Children’s toys — like all consumer products — need to be designed to withstand the normal level of use that can reasonably be expected from the average user. When the average user is a child, the behavior of children at the intended age level needs to be considered. 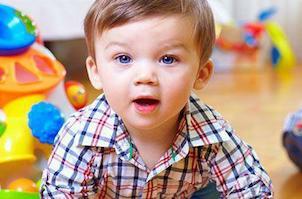 Children often put toys in their mouths, throw them and otherwise play with them roughly. Manufacturers and retailers know this and need to take special care with children’s toys. Unfortunately, all too often, companies manufacture unsafe toys that create choking hazards and other dangers such as lead paint exposure. Then they fail to provide adequate warnings to parents. As a result, children can suffer serious injuries and even fatalities. Under California product liability law, retailers as well as manufacturers (which are often located overseas) can be held accountable for unsafe children’s toys. This applies even when a company such as a fast food restaurant gives unsafe toys away. The lawyers at our firm are respected throughout Northern California and nationwide for their efforts to make children’s toys safer by holding the responsible parties accountable when they cause serious injuries.Contact a lawyer to discuss your case with a dedicated attorney; call (408) 289-1417. We serve clients throughout the Bay Area, including Palo Alto, Gilroy, San Jose, Santa Clara, and Los Gatos.